Before embarking on additions to an existing house, the deficiencies of the house and its siting must be carefully considered. From these considerations, it is possible to propose solutions that maximise the benefits of additions. 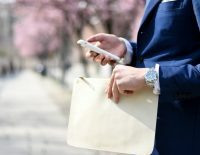 These benefits could include increasing the value of the property, improving your lifestyle, or in most cases, achieving both of these objectives. At Mark Lawler Architects, our clients often come to us after purchasing a house which has poor additions from the previous owners, meaning our first step is either to demolish the additions or make major changes to improve our client’s home. Before undertaking additions, there are a few crucial elements you’ll need to consider in the planning process. In this blog, we’ve outlined some of the most important elements to review to guarantee the project is successful. The first decision to be made is where the additions can be placed on the site. An addition could be placed at the rear of an existing house, at the front, or to one side. Other alternatives are first floor additions or an unused sub-floor space. The size of the existing house, its internal planning and position will determine the most appropriate location for additions. Most of the time, the position of the house will reveal the available building area and, in turn, dictate where the additions will go. Careful consideration must also be given to planning setbacks required at the front, rear and side boundaries of the property. Older houses, for example, were often built with large street setbacks – in some cases, these setbacks offer more opportunities to create additions at the front of an existing house. Building on the street side has the advantages of creating a dramatic makeover to the existing house, improving the street presentation and therefore the value, plus providing ample access for builders during construction. Apart from the space available on the site, the internal planning within the existing house can also influence the best location to position an addition. By working within the existing internal layout, you can avoid the costly rearrangement of internal walls. In many older houses, these internal walls are load bearing, supporting the roof framing. For example, in an older home, it could be possible to extend an existing hall through to the exterior to link with the addition. Another important aspect to consider is the kind of accommodation that is required within the new additions. The kind of additions you’re planning to build will vary a great deal depending on whether there is extra space to accommodate bedrooms, bathrooms, living spaces, a new kitchen, laundry, and more. Check out our recent blog about home renovation strategies to help guide your addition decisions. A first floor addition is often the first option considered by many homeowners. This option also happens to be the most expensive. We recommend that a first floor addition only be considered where there is no area available elsewhere on the site to accommodate the additional space. The exception to this rule is where it is possible to gain good views from an upper storey, adding value to your property. A first floor addition is expensive because it involves removing a portion of the roof, supporting a new floor on the existing walls or new structural supports, and keeping the existing house waterproof throughout the construction process because all the building work is done at least one level above the ground. The logistics of getting materials up to the addition and the need for scaffolding all add to the building cost. Plus, the condition of the existing house must be assessed including whether the walls and floors are straight and level and what work might be needed to renovate the existing space. Another cost attached to a first floor addition is the provision of the stairs. A staircase can take up a reasonable amount of floor space. Often a staircase can be located in an existing smaller bedroom, so while a client is gaining additional space at first floor level, they are also losing at least one room on the ground floor. When building bedrooms or living areas at first floor level, a bathroom is normally required. The construction costs of the bathroom with tiling, waterproofing and plumbing also increased the cost of first floor work. Another factor to consider with a first floor addition is the impact overshadowing has on adjoining neighbours. Council’s planning controls have certain requirements to ensure that building work does not have adverse impacts for the neighbours with loss of amenity, privacy and enjoyment of their own backyards. When adding to an existing house, the roof geometry is a factor that should be considered. The roof geometry determines how the rain water is drained (hip roof, gable roof, valleys) and also how the roof is supported. While a traditional roof is supported on the internal walls, newer buildings are generally constructed with truss roofs which span from one external wall to the other, with the internal walls non-loadbearing. If the form of the existing roof is not considered an addition can result in costly roof reframing work in order to enable roof drainage and economical framing. At the rear of the house, there are opportunities to open the house to the backyard and add new outdoor living spaces. 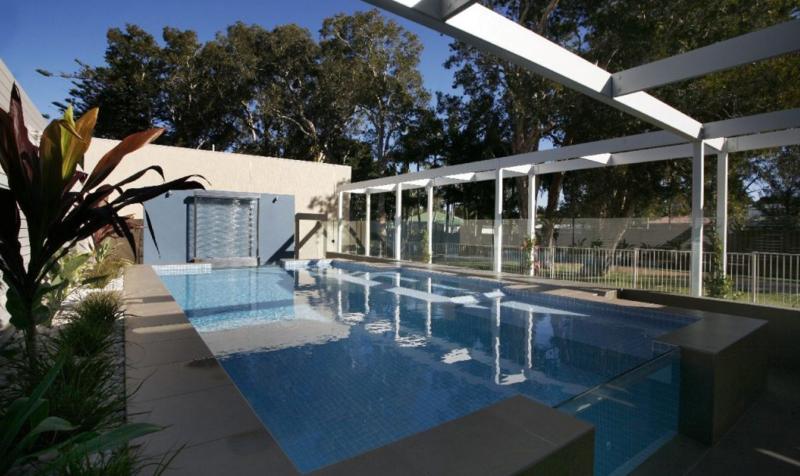 Often these works are done in conjunction with a new swimming pool or a landscaping makeover. Many older houses were often separated from the yard with a laundry, toilet and other utilities, closing off the yard and access usually provided by a single back door. With an addition, opportunities arise to introduce large sliding glass doors with a deck or terrace (removing all or part of the rear wall) to radically improve the character of all the spaces within the house. When it comes to additions, homeowners have the opportunity to either respect the existing house design or to give the house a new image with a totally different presentation. 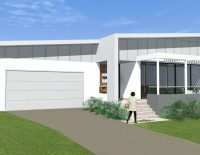 A large and significant house, particularly with a superior original design and quality construction, will mandate a more respectful addition. On the other hand, if the existing house is rather mundane and lacking in any quality, the addition can add new, interesting building forms giving substantial visual appeal to an otherwise non-descript house. Any addition (regardless of the exterior treatment) will seek to create open and light internal spaces with a contemporary character in contrast to the dark, cellular nature of older houses. Most older houses were built with individual rooms opening off a single hallway. The open planning of contemporary spaces completely changes the character and feeling of many internal spaces, particularly the living areas. To achieve open planning and the optimum use of space in the house, the additions might also involve repurposing existing spaces within the house to gain better use of these areas. For example, a small bedroom might be able to be repurposed as a study, pantry or even a dressing room. This small bedroom is replaced in the addition by a new, larger bedroom better suited to your current needs. An addition will provide the areas that are currently lacking in the existing house. This can have a substantial impact on the value of a house by adding the things that new houses provide. These considerations can include a fourth bedroom or study, ensuite bathroom and dressing room for the master bedroom, a second enclosed garage, a large outdoor living area, and more. The orientation of the new addition must be considered to avoid uncomfortable living conditions, for example hot afternoon sun from the west, whilst improving winter sun access if possible. Another factor that can add considerable value is organising the additions to take better advantage of views. Quite often, older houses were built without consideration of what we now consider attractive outlooks and views. Homeowners considering additions also have the opportunity to make better use of the site and rear yard to provide comfortable outdoor living spaces and recreation areas in keeping with more contemporary lifestyles. In older houses, the rear yard was regarded as nothing more than a place to dry the washing and accommodate the family pet. With any addition, you must consider the costs involved, as these costs relate not only to the floor area but also the method of construction. Different construction systems can be used to minimise the cost with consideration of the unique site characteristics including how the existing house has been built, site slope, drainage, foundation conditions, and other factor. From reading this blog, you should now understand that there are a large number of considerations that need to be taken into account before undertaking an addition project. At Mark Lawler Architects, we can offer reliable advice and provide design solutions which address issues commonly related to additions. Too often, we are called to properties that have been acquired by our clients where additions have been completed by the previous owners with very poor outcomes, meaning our first task is to either demolish or carry out drastic surgery to these poorly considered additions. While it may be quick and easy to identify the extra space that an owner might need, the way this extra space is provided should be the result of a well considered and careful planning exercise with full exploration of all the design options, weighed up against the budget to avoid over capitalising whilst maximising the capital gain. Get in touch with our experienced team at Mark Lawler Architects in Newcastle. We can help plan successful, valuable additions for your home.